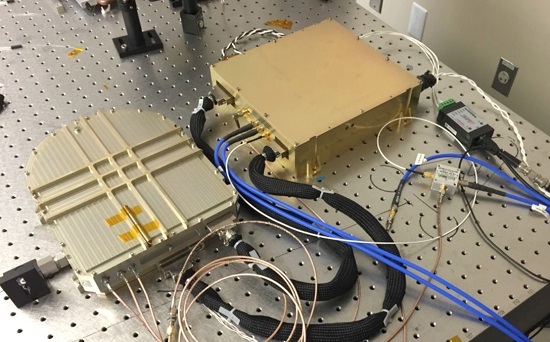 In May 2016, the Game Changing Development Program’s Deep Space Optical Communications (DSOC) project completed TRL 6 milestone testing on its key deliverable, an integrated deep-space flight laser transmitter assembly. Proposed on several Discovery missions, the technology undergoes a transition review in June and is expected to advance to NASA’s Technology Demonstration Missions (TDM) program. “The technical achievement of this team has caught the eye of several Discovery mission proposers and we look forward to a successful transition to the TDM program and ultimately an infusion to a Discovery mission,” says Mary Beth Wusk, Game Changing’s program manager [acting]. DSOC seeks to increase by at least 10 times data return volumes from deep-space missions to enable larger science returns. Current optical communications for the lunar range will not perform sufficiently to communicate with spacecraft, particularly high resolution science data via downlink. Completion of this milestone involved performing comprehensive testing at NASA’s Jet Propulsion Laboratory after taking delivery of the laser from Fibertek, Inc., last fall. In addition to independent verification of laser characteristics, test patterns delivered over representative flight-like interfaces were successfully demonstrated for a number of operating points. Testing at JPL revealed that the laser meets all design requirements. These include specifications on power, pulse-width and spectral characteristics, and passing initial environmental requirements such as thermal vacuum, vibration and radiation. After transitioning to TDM, Biswas says the team will start preparing for a preliminary design review of the DSOC flight lasers that will build on lessons learned, replacing non–flight electronics, and flight packaging of the flight module. 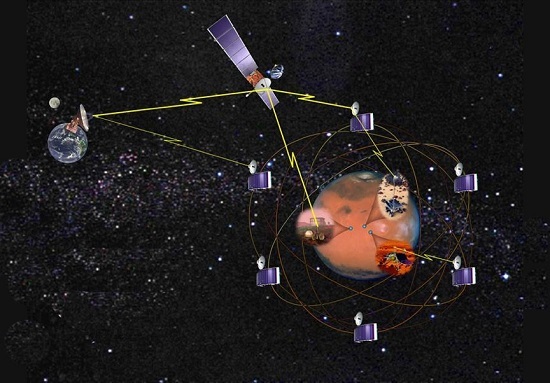 Along with Discovery missions, other potential uses for the technology are an optical communications terminal on a future Mars telecommunication orbiter, with the Asteroid Retrieval Mission, and maintaining communications with the Europa Clipper during cruise prior to arriving at Jupiter. What are the data rates and what are the expected transmission distances? This pulse power. A laser with a buffer battery.